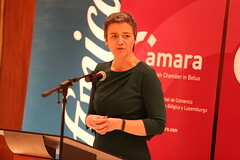 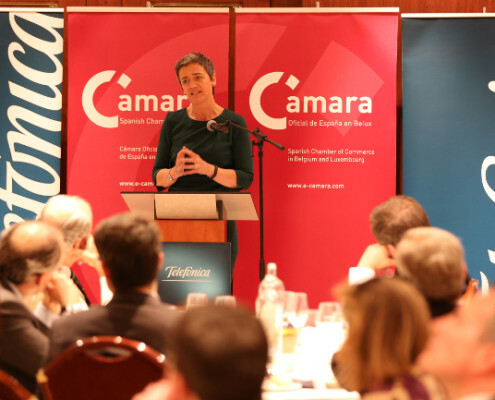 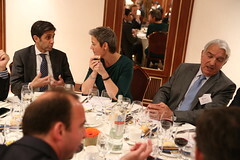 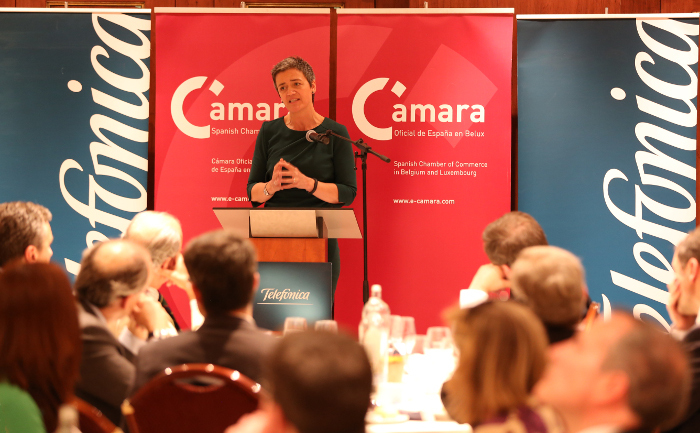 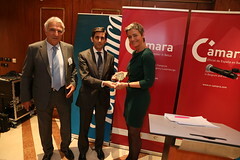 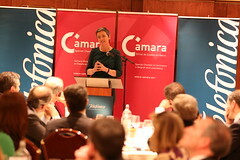 Margrethe Vestager, Commissionner for Competition, was the special guest on last Tuesday 12 May at the luncheon-debate organized by the “Business Circle” of the Official Spanish Chamber of Commerce in Belgium and Luxembourg. 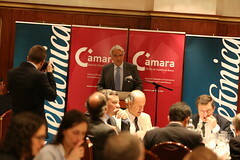 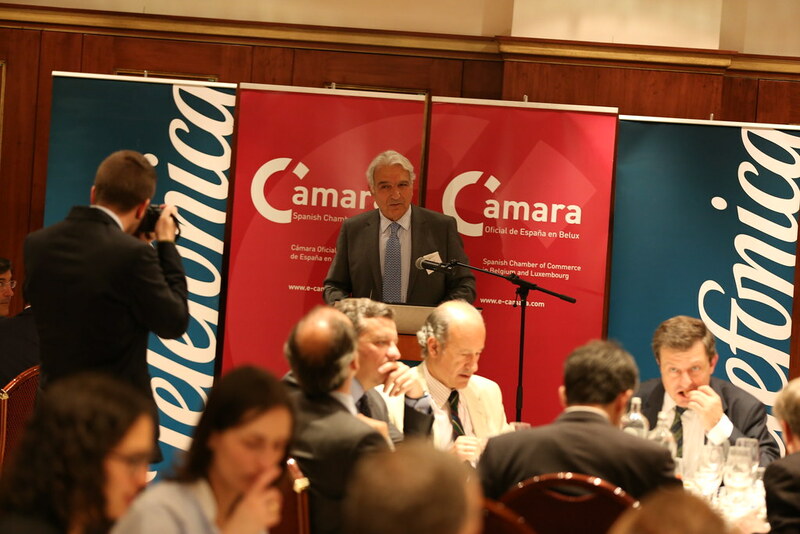 More than 85 attendees, representatives of the Spanish public institutions, directors of international companies and lobbies from the sector were present. 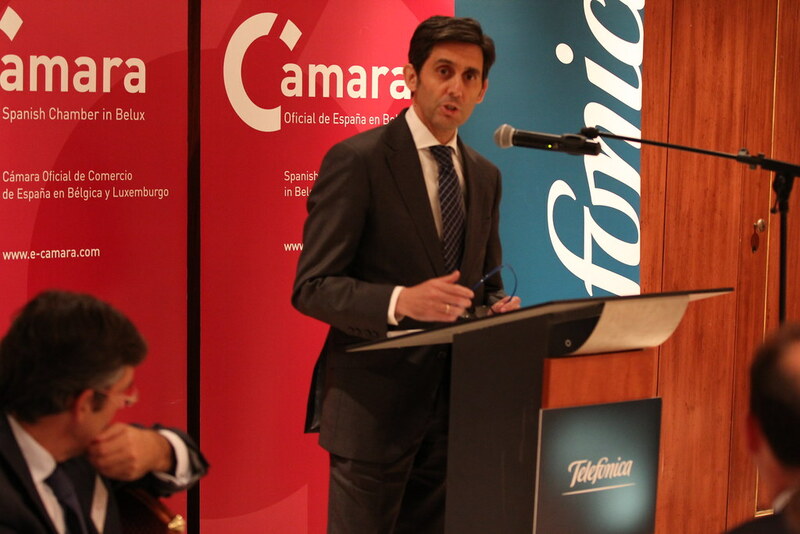 Juan Rodríguez-Villa Matons, president of the Chamber was in charge of the introduction of the European Commissionner for Competition, by emphasizing her well-known professional career after getting her degree in Economics. 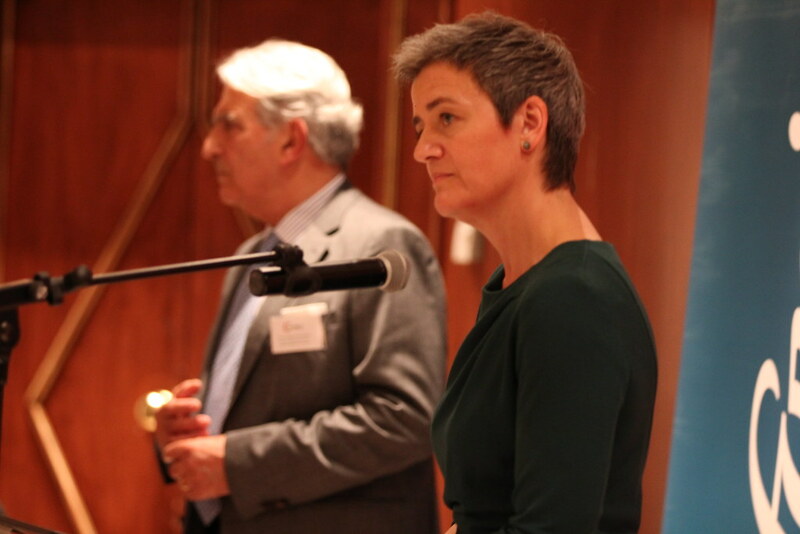 Later, the Commissionner for Competition, Margrethe Vestager began her intervention about the themes such as cross border e-commerce, Google, reinforcement of competition law and protection of personal data. 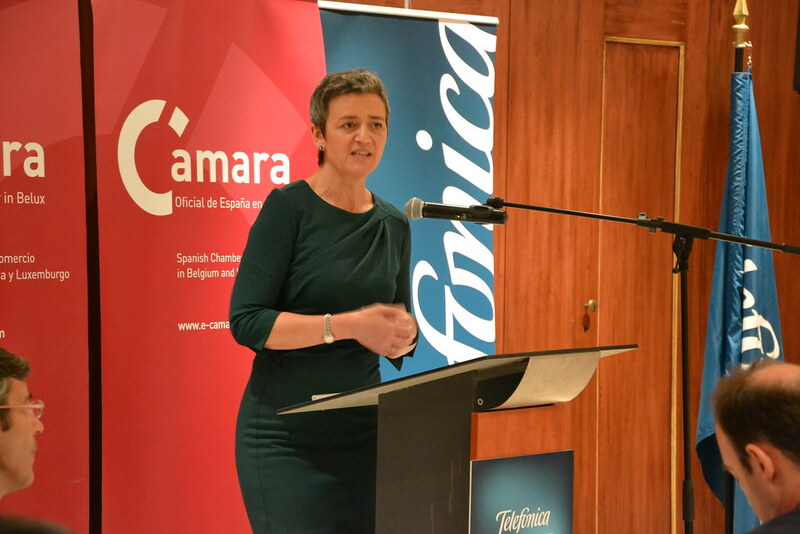 According to Margrethe Vestager, Europe has innovative ideas that need to be implemented in order to guarantee economic growth, success and job creation. 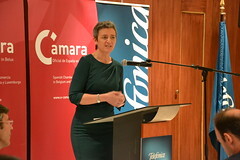 Therefore, she highlighted the importance of an in-depth-investigation to develop a new digital marketing strategy and a defragmentation of the communications in Europe. For this reason, she called for cooperation and equal treatment of companies, enhancing the importance to spread this message to the other member states in order to make them understand the problematic situation and make them respond to this challenge. 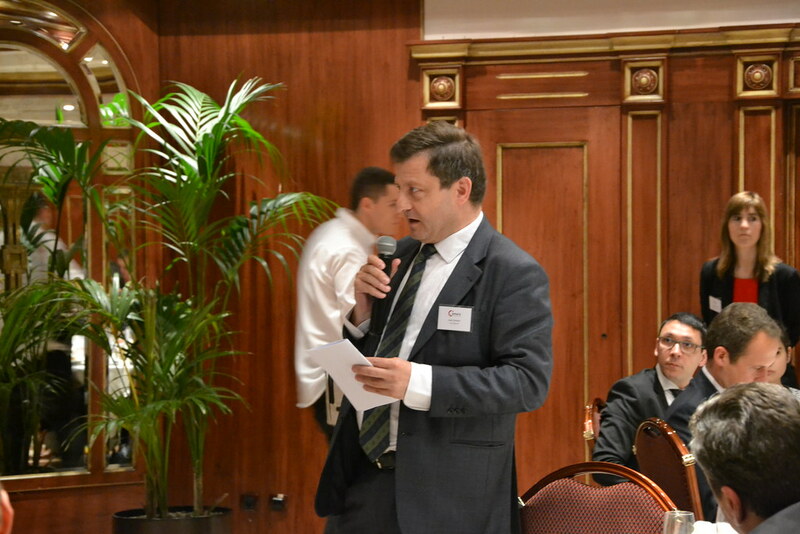 During question time, it had been proved to be of fundamental importance that the 28 member countries should work together for the benefit of the consumers and companies in order to avoid a monopoly in certain markets. 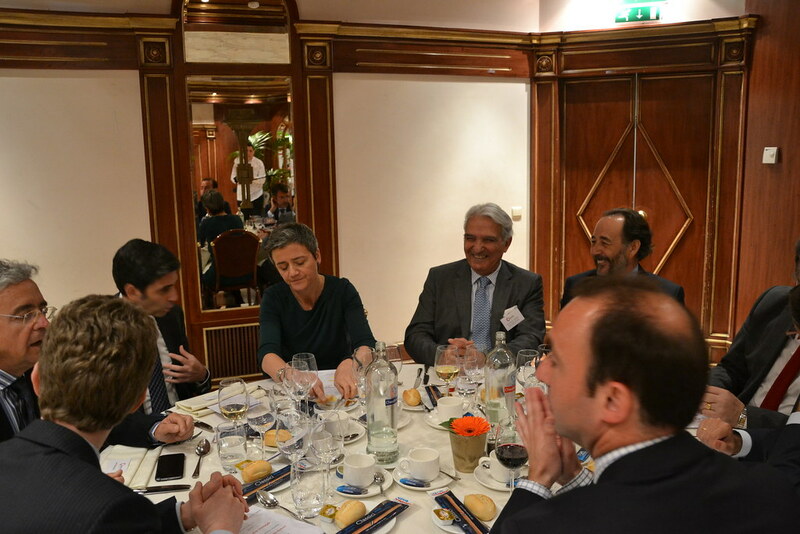 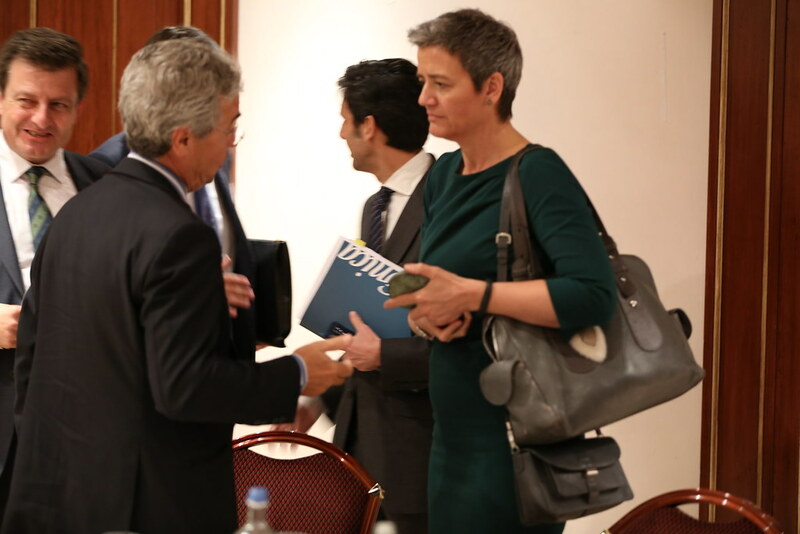 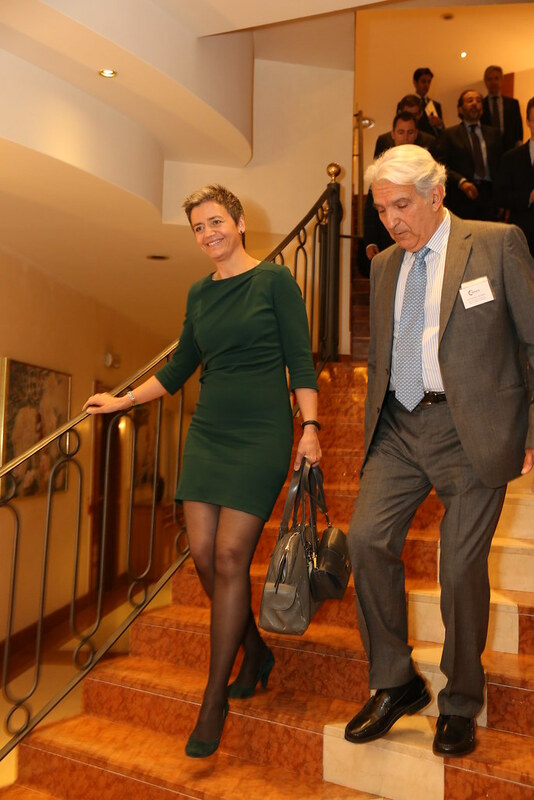 To conclude the debate, Juan Rodríguez-Villa, on behalf of the Official Chamber of Commerce, and José María Álvarez Pallete, Chief Operating Officer of Telefónica, gave a prize to Margrethe Vestager in recognition of her work within the department of Competition. 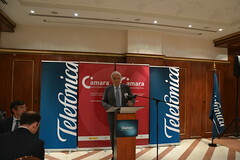 Finally, José María Álvarez Pallete spoke, while drawing the attention to the new opportunities, in the form of product or service that the sector of telecommunications nowadays offers. 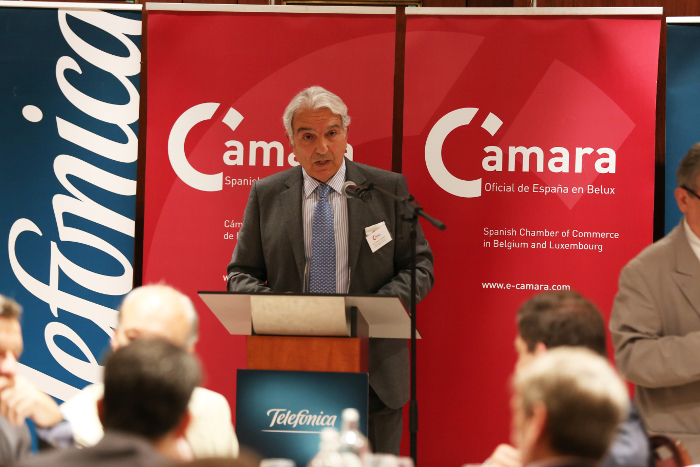 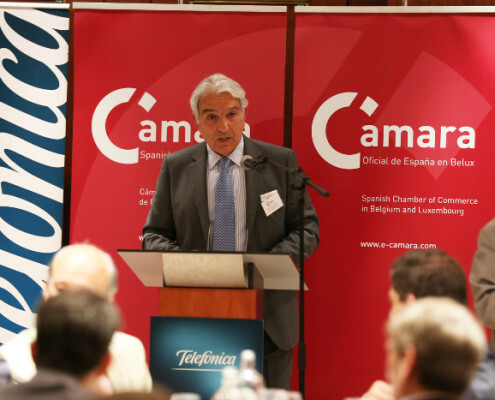 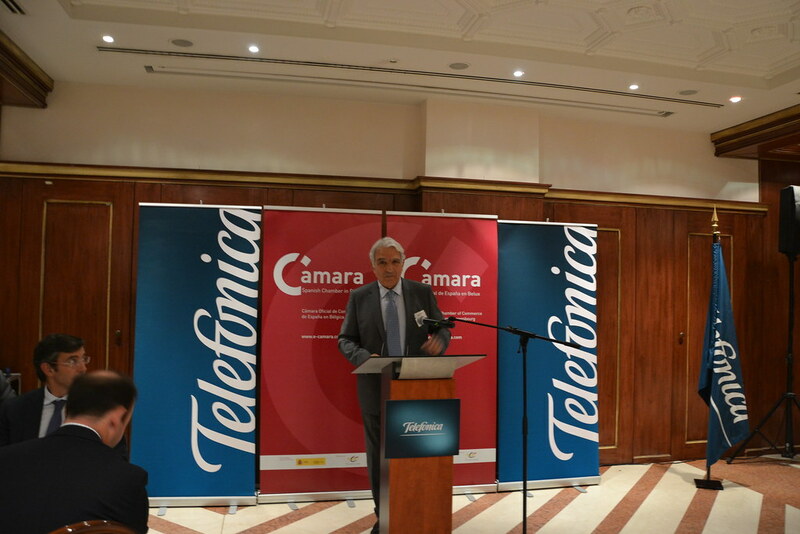 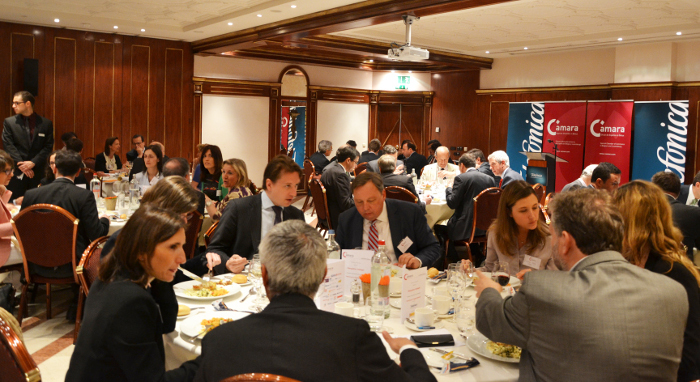 The Chamber celebrates the success of the luncheon-debate and would like to thank the cooperation of Telefónica, sponsor and a reference company in the technological and digital sector, and to La Buena Vida, sponsor of the wine at the event.